Healthy mangroves are a precious, almost priceless resource, and yet over the past 50 years the world has witnessed staggering levels of mangrove loss and degradation. Mangroves can, quite literally save lives during storms, but losing mangroves also means losing livelihoods, food security, valuable timber, coastal defense and one of the most efficient and important carbon stores on the planet. There are growing efforts to protect some of the world’s remaining mangroves and to curb the destruction of this key natural asset. 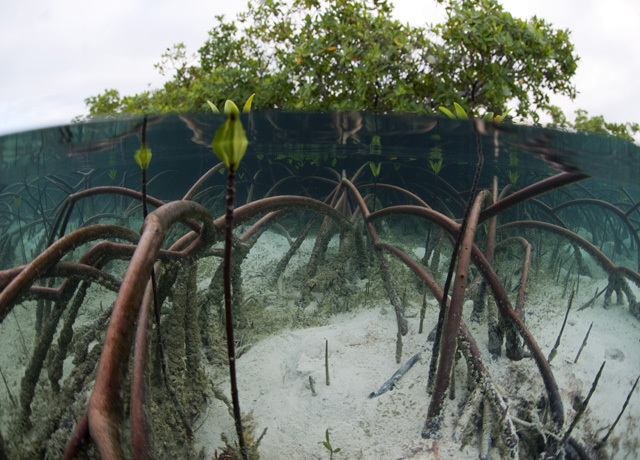 Indeed, the losses are such that mangrove restoration is increasingly seen as a critical component of both conservation and shrewd coastal management – a genuine ‘win-win’ opportunity. Successful restoration can support local communities, help countries to achieve targets for conservation and carbon emissions, and even help in the urgent fight to slow climate change. 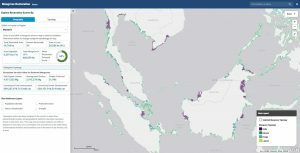 To support these efforts, The Nature Conservancy and IUCN, in collaboration with the University of Cambridge, developed the Mangrove Restoration Potential Map – a unique interactive tool designed to explore potential mangrove restoration areas world-wide, along the with the benefits association with such restoration.